After reading this article over on the Creative Review blog, we were reminded that we'd been meaning to do a bit of research into QR codes. QR (Quick Response) codes are a bit like barcodes, but instead of needing a barcode scanner to read them, you can use a mobile phone camera (either one with the software built in, like the Nokia N95, or by downloading a code reader onto your phone). The QR codes generally contain a machine readable version of a URL, so that your camera decodes the image and opens up the relevant website in your phone's web-browser. 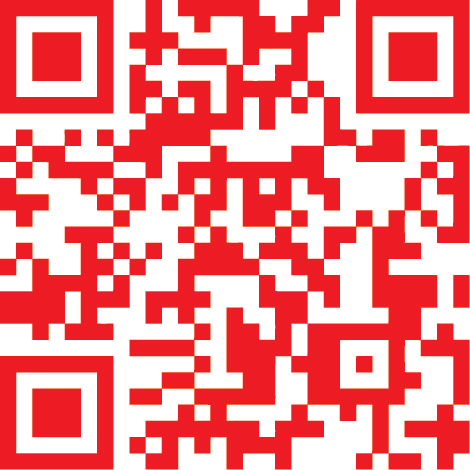 You can also create your own QR code over with Kaywa. There's another Facebook application "Add to Friends" Gear which does a similar thing, creating some rather dubiously designed stuff that features links to your profile. 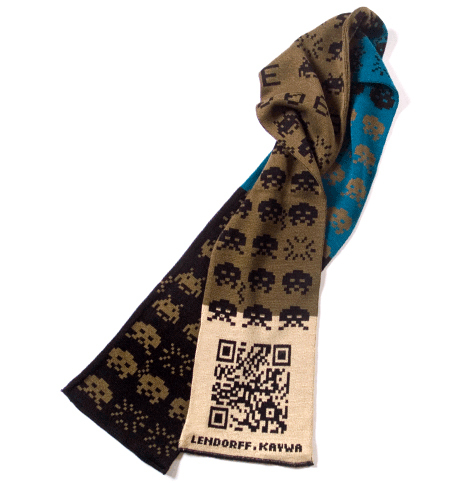 For those with a little more fashion sense, you can pick up The Invader, a limited edition scarf, which is a collaboration between Kaywa and Office Lendorff. 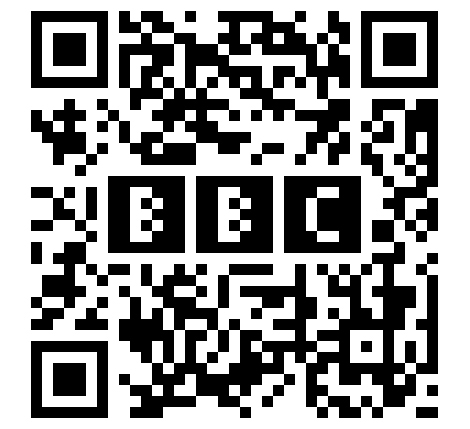 2d-code.co.uk is a blog with lots of stuff about QR codes, including a story about how you can screw with your QR codes to make them look more intersting, as they allow for up to 30% deterioration of the code while remaining readable. Which means the BBC could stick their name into their code. qrcode.es is a Spanish site all about QR codes, inluding a feature about using them as an updated version of laserquest in a battle round a shopping store, and a short story competition, where you have to create short stories (just 100 characters including spaces) that can be embedded in QR codes. They also do some t-shirts and products, inluding this baby's bib which decodes as "My parents are freaks. Please, adopt me!". Which is, frankly, genius. And finally, there's a (currently fairly shallow) Flickr pool of people doing interesting stuff (stamps, stickers, artworks) with the codes . We love these little linksplats. Admittedly at the moment they tend to be ham-fistedly stuck onto adverts and posters rather than properly integrated, which looks rubbish; but hopefully as people start playing with them more and more, they'll start to appear in more refined and witty ways.